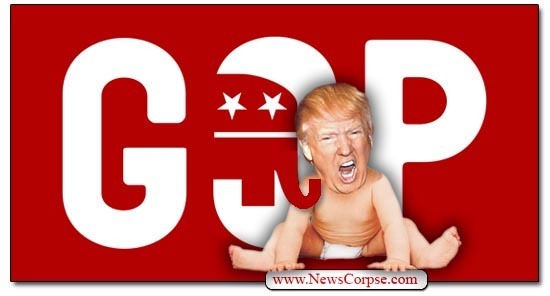 The disintegration of American democracy continues as the Republican Party under Donald Trump embraces the politics of totalitarian dictatorships. It’s consistent with their worshipful supplication to everything that Trump does and says. Any dissent is regarded as betrayal and party members are held to strict oaths of unbending loyalty. For the record, anyone can already sue a reporter or news outlet that knowingly publishes false information. The problem that Trump and his cult following have is when reporters publish truthful and fact-checked information that exposes their lies and the damage they are doing to the country. Their attacks on the press are not intended to produce either fairness or balance. They are intended to intimidate journalists and to poison the minds of the Deplorables so that they trust no other source than Dear Leader. This strategy is also seen in Trump’s determined efforts to threaten reporters with banishment from White House events and the revocation of their licenses. And his relentless castigation of the media as “sleazy,” “disgraceful,” “horrendous”, “liars,” is bound to lead to violence. Meanwhile, his communications office has made the daily press briefings irrelevant. For one thing, they are hardly daily. There were five briefings in June and only three in July. And when they are held the press secretary, Sarah Huckabee Sanders, spends most the time evading questions, haranguing reporters, and exalting Trump. The good news is that, despite the worst efforts of Trump and the GOP to denigrate the press, the American people consistently say that they trust the media more than they trust the President. Perhaps the fact that Trump is the most documented pathological liar that’s ever occupied the White House has something to do with that opinion.